"I have been playing Bartolini Pickups for 11 years now! There are plenty of choices out there but I have stayed with Bartolini because they deliver the tone, cut and unparalleled excellence I have come to trust on stage or in the studio... no matter what style of music I'm playing!!!" I use your ZBS-75in 2 of neck positions, a brillant humbucking P90!!! use your OD-3 in 2 of my bridge positions and I use a 45 jazz set in my Black Devil SG when I play METAL!! Guitarist/Singer/Songwriter from Pittsburgh, PA who started the national touring act Grinch in the 1990's...now living in Humboldt County, CA and playing with his band Silent Giants...creating their own brand of Humboldt County Progressive Rock' Also, Wolf is playing guitar and singing in War Moth, an up and coming metal band. 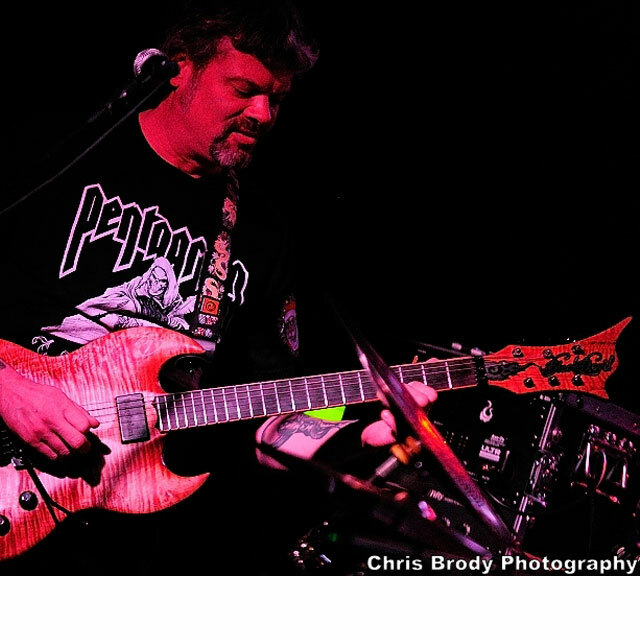 When not playing music his bands, Wolf writes a guitar effects review column for Rock N Roll Industries Magazine and has been doing guitar repair work and studying to build guitars for several years now!! With his newly started guitar company Navarro Custom Instruments he hopes to build custom guitars for the up and coming players who want fine crafted, hand made guitars of the highest caliber!!! Basically, he is always busy with some kind of music project!